Add a little color to your outfit with this purple-hued piece! 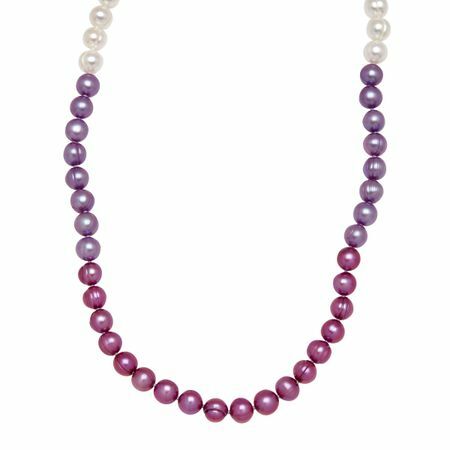 Freshwater ringed potato pearls, in white, orchid, and violet, line this strand for an ombre effect, finished with a sterling silver lobster clasp. Piece measures 18 inches in length.